At Edwards Executive Education we develop leaders that excel in an environment of constant change. We offer training in key business areas including project management, business analysis, financial management, executive retreats, half-day seminars and leadership development programming. 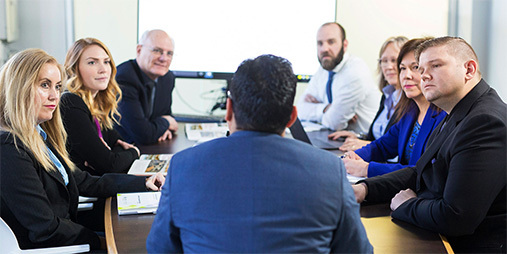 Our open-enrollment programs are available to all executives, managers or professionals wanting to gain knowledge through a fun, fast-paced and dynamic learning environment. 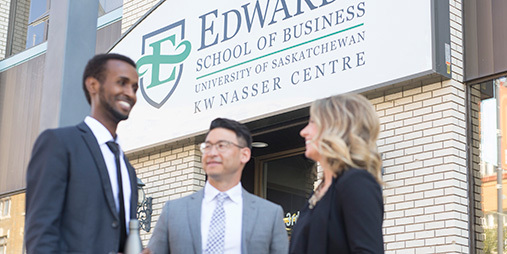 Since 1981, Edwards Executive Education has helped educate and train thousands of men and women representing hundreds of businesses, government agencies, and not-for-profit organizations to develop personal and professional management and leadership competence. "I feel honored having been part of this program. All the facilitators are topic experts and highly credible. The experiential learning through the simulation activities have been beneficial for me who did not have any previous collective bargaining and mediation exposure." "Practical and relevant course suitable for all business professionals." "I attended the program expecting to learn strategy techniques and leadership skills. I never expected a life changing experience, which would make me a better person. Thank you!" "After successfully completing the MCPM program, I am a much more confident project manager. I'm ready to pass the PMP!" "The Digital & Social Media Program is well worth the investment. The knowledge, tools, and resources are so beneficial to many different industries." "I thoroughly enjoyed this course. It has given me a ton of insight as to my own capabilities and opportunities to grow, as well as the confidence to trust in my own instincts in leading a team."